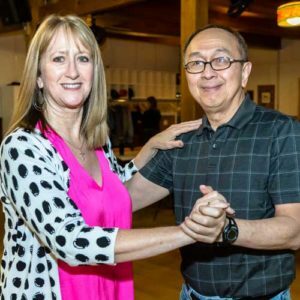 When it comes to Ballroom dancing, Country dancing, and Swing dancing, you’re likely to pick it up with greater speed than more formalized dancing genres like modern dance, jazz, ballet, and tap. Still, if you want to do the best out there on the dance floor, you’ll need to learn the steps. That’s just one tip, following are daily practices to improve your dancing you can do to hone your performance out there on the dance floor. 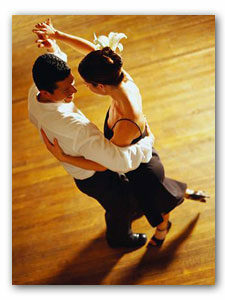 If you fully want to flourish when dancing, it makes sense to get yourself on a regimen of proper diet and exercise. Dancing burns a lot of calories and is excellent exercise. Plus it takes place in “digestible” chunks. If you’re on a treadmill for a half hour, that’s tiring. But a half hour of dancing could be ten separate songs, all with a little breather in-between. If you want to be in peak condition by the time you hit the dance floor, you want to ensure that you’ve put the right things into your body in terms of health, and have properly put your body through regular exercise. This may be the most important thing you can do to give yourself greater ease, poise, grace, and comfort on the dance floor. Stretch your calves, thighs, and posterior regions. Take your time with the stretching—don’t just grab your toes in a fast burst of energy. Stretch out slowly, find them, hold them, count to at least twenty, and make sure you keep things even. If you’re well-stretched, you’ll be much more comfortable dancing, and more importantly, could save yourself from avoidable injury. When you’ve got the right clothes, it’s a lot easier to move with freedom and precision. You want that which allows for movement, and breathes. Sellers of dancing apparel can usually serve you the best, here. Something else you might do is loosen yourself up by using Hip-Hop dance moves to overshoot your swing or ballroom target. Ballroom, swing, and country dancing have a level of casual precision that requires you to be conscious of your body, but not totally consumed in how your moves appear. If you’re always watching your feet, you’ll miss things and won’t have as much fun. This is more likely if you’re self-conscious. However, a few hours of hip-hop dancing beforehand by yourself will push you so far out of your comfort zone that country, ballroom, and swing seem like quaint old friends from the home neighborhood. This is last on the list because it’s slightly apparent. If you really want to look good out there, swing your partner “round and round”, or properly twirl when your partner sends you out to the end of their arm to pull you in close again, you’re going to want to practice. Google the popular steps out there, or figure out what everyone you know is doing. Once you’ve got the moves figured out, practice them in a wide-open space until you’re comfortable with them. This is best done with a partner. Should that partner be your significant other, the practice can be an end unto itself! Dancing is fun! But it can be awkward, tiring, and uncomfortable. Here’s the thing: people aren’t meant to be perpetually sedentary. You should be able to just soft-shoe on out to the dance floor and have a great time. If you’re not quite there yet, you can be—just practice a little, use these Daily Practices To Improve Your Dancing and get the right dancing apparel.